Far North Spirits craft distills three different styles of rum – white, aged and Nordic spiced. Inspired by the distiller’s favorite rums produced in Guyana and Trinidad, we source demerara sugar from Florida and turbinado sugar from extended family in Louisiana who are part of the Lula Westfield Sugar Cooperative. 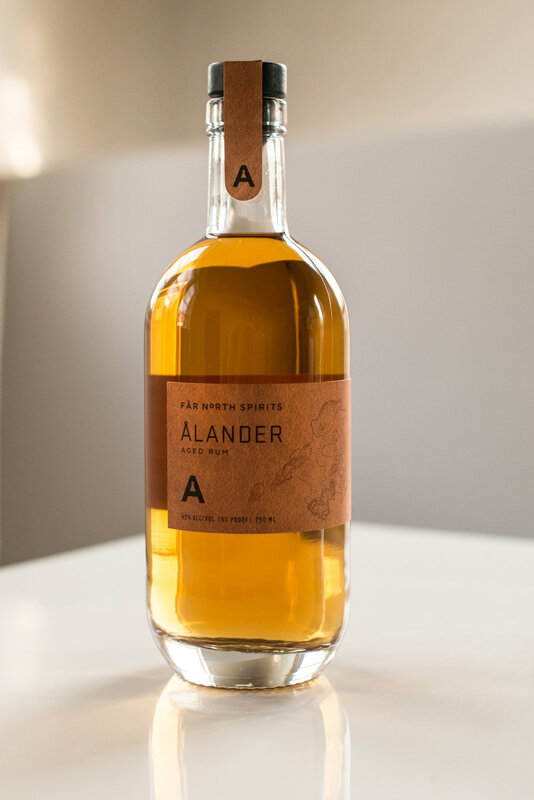 Ålander \OH-lan-der\ is named for the rum-producing Åland islands near Finland in the northern Baltic. There, summers are warm enough to enjoy the beach and winters offer “long-distance ice skating”. Sounds like Minnesota’s own Lake of the Woods, a place where our family enjoys summers at the cabin. A topographical map of Oak Island at Lake of the Woods graces each bottle. Craft distilled from demerara and turbinado sugar cane in the style of Guyana and Trinidad’s best rums. Our craft distilled white rum is aged for up to one year in used Roknar Rye Whiskey barrels. Made in small batches from Demerara and Turbinado sugar, whole-bean spice infused by hand.